Angry Birds is not only the hottest new video game on the market but one cool birthday party theme as well. Over 12 million copies have been sold since the game took flight if that tells you anything. But the kids don't care, they just know that the game is a blast. It's no wonder that everyone's mad about the Angry Birds Birthday Party! We'll be the wing beneath your wings with our tried and true suggestions and instructions. Our innovative ideas may even have you soaring to new heights with your own imaginative touches to add in the mix. So spread your wings and take your "bird-day" party to the next level. We often start with a Angry Birds birthday party pack like these and then add on with items we round up from around the house as well as additional special purchases. Check out this awesome angry birds birthday party supply kit from Birthday in a Box! And now, new to the air, is the Angry Birds Space Birthday Party! The sky is the limit with this fun party. You can use the Space theme right along with Angry Birds party suggestions for any Angry Birds theme, changing any of them up a bit if you like. Our party was for a tween but not only is this theme perfect for a tween, but the little tots and older teens love it too. A few weeks ago a family friend threw an Angry Bird party for a five year-old so we have included ideas and photos from that party as well. This party theme is certainly one for all ages and is even fun for adults. Keeping with our family tradition, we purchased special new party items that we did our homework on and got at bargain prices. We also incorporated things we already had into the mix. Creating some of our party items from scratch was not only cost effective but was fun too. Remember, making memories is what it's all about! After you have made a list of who you want to invite to the party, where and when it will be held and any special instructions, you will want to tweet the word out. Birthday in a Box is a great place to order invitations. You can go for the fill in the blank style or order personalized invitations. Might as well grab some Thank-You Notes while you're at it! Of course you can make your own invitations if you are up for it. Simply fold colored cardstock paper in half, and decorate the front to look like an angry bird. Two round googley eyes, a beak cut from construction paper and the infamous frowning bushey eyebrows make this card a real tweet. Print party details inside the flap. No matter which invitatiion you go with, instead of confetti, why not place some bird seed inside the envelope? Add a few Angry Bird stickers onto the envelope and get your bird in the wind. Red, yellow, green and blue are great colors for this event and if it flies like a bird, snorts like pig or looks like a golden egg, it can have a place in this party. Setting the tone for your Angry Bird party is no puzzle when you let us guide your flight. So, if you're game, flock on over for some great decorating ideas that will help ensure your event is a winner. A birthday banner or yard sign is an excellent way to ensure the guests where the party is and makes them feel welcome too. Trust me, your neighbors will appreciate not having a yardfull of kids thinking the party's at their house or asking for directions. You can add to the fun and hang some Angry Bird plushes in the trees and decorate the porch with them too. We had a lot of fun by putting a talking one on the porch to greet the guests. If your event is at the park or an indoor entertainment place, you can still hang a banner and bring along some birds too. At our party, we went mad with the Angry Birds theme in the party room. Leading the way down the hall, we made bird footprints then for the grand entrance and we hung a red fringed door curtain for the grand entrance and even played Bird Chirp noises in the background from a download we got off Amazon. That really set the mood! We purchased even more Angry Birds to hang by strings from the ceiling and to perch on palm tree standees we had from another party. Shindigz is a great source for settings that really make the party area fun and festive. You can find things such as tree standees like we did and they also have inflatable trees that are very inexpensive and work great. You can always throw a Hawaiian Luau and use them again! We strung some cording across the room and covered it with black electical tape to look like a telephone wire and then placed some birds on it. All around the room we added in those pesky pigs and other fun characters like the chef, the construction worker and even one that made sounds. Not only can you hang them but you can set the around the room on tables and even on the floor for the little tykes to play with. Celebrate Express has this set below for a song. We purchased two sets of these noise makers and added to our collection above for a nice variety. Not only did our assortment of props add a really fun flair to the air, we used them later at game time and for party favors too so it was an investment well made. Fill 'er up! Don't forget fun fillers for your pinata and loot bags to stash them in. We got these finds on Amazon. Something's in the air and it's not just the Angry Birds...it's balloons! You can never have too many balloons so mix and match them and put them everywhere. Float helium filled ones to the ceiling in bunches and in singles, arrange them in bouquets to use for centerpieces and leave some without helium to scatter about on the floor. You can mix theme mylars with solid latex in colors like red, yellow and green. Tie color coordinating curling ribbon on each and you are ready to launch. We drew Angry Bird character faces on some of the solid balloons. Then we tied some ribbons on them and anchored them with cinder blocks and wood pieces for an authentic flair. Especially since we live in a remote mountain town in Colorado where distance and altitude are not condusive to purchasing prefilled balloons, we buy a disposable helium tank and fill our own. Deck the walls with squalls! This wall set peels on and off and can be reused for another party or even used to decorate a bedroom. You can get really cool wall coverings from Shindigz too. You can find all you need to create a bird sanctuary that is sure to make even an Angry Bird happy. Decorated tables add color and theme to a party, especially from a bird's eye view, so be sure to add as many as you can. We like having one for the cake, one for snacks, one for beverages and one for gifts and also decorate the table where guests are seated to eat. If you are having your party at home, you can utilize all the tables you have, even folding and card tables. You can borrow and rent them too. If you are renting out a hall for your party or having it in a resturaunt, decorating their tables will do a lot to make a drab room really festive. Start with a table cover. We used some theme ones mixed with a few solid ones and it looked great. Add a centerpiece to each table. You can purchase a centerpiece or even make your own. We did both. We made a bird nest out of twine and twigs and sat some Angry Bird plushes inside them with golden eggs. For the eggs, we just used leftover Easter eggs and spray painted them gold. We also found some large Easter eggs and painted them then sat them on the long table where the guests sat to eat. There are lots of ways to make the tables look festive. After a centerpiece is placed on each table, add the cake to the cake table, the snacks to the snack table and so on. We purchased some very inexpensive bird houses, sat them about and scattered around some Speckled Egg candies, the kind that are popular at Eastertime. Remember it's best to have at least one item on each table that adds heigth. With this in mind, we made some centerpieces out of balloons and weighted them down with old, non-working cell phones for a fun twist. You can also make a structure out of cardboard or lightweight wood like in the game. Decorate it with Angry Birds, Pig plushes, toy slingshots and golden eggs by just randomly hot glueing the items on. After a centerpiece is placed on each table, add the cake to the cake table, the snacks to the snack table and so on. We purchased some very inexpensive bird houses, sat them about and scattered around some Speckled Egg candies and packets of Angry Birds gummy candies too. Be sure to arrange party plates, napkins, cups and plasticware for the cake and snack tables. You can then fill in spaces with themed plushes, party hats and even toy or non-working cell phones. Sprinkle around some Angry Birds confetti or sunflower seeds and if you want. Might as well add in some red, green and yellow curly ribbon spirals too. We put a Chef Pig plush on the snack table and some Space Ice Birds on the drink table and everyone got a kick out of them. Please feed the birds! If you don't want a party full of angry birds, you're going to need to feed them. With these yummy and fun foods, they'll be pigging out in no time. Remember that if your party falls on or around mealtime, be sure to serve more filling foods. Slice eggs in half lengthwise; remove yolks and set whites aside. In a small bowl, mash yolks with a fork. Add the mayonnaise, sugar, vinegar, mustard and salt; mix well. Divide into 3 batches and add food coloring. Stuff or pipe into egg whites. Refrigerate until serving. Use black icing and a Wilton cake decorating set to make the bird facial features according the the color you are doing. Don't worry about doing it perfectly (we didn't! ), just getting the general features is good. Put those pesky pigs to rest in a blanket. This classic favorite is sure to be a hit! Preheat oven to 350 degrees F then wrap cheese around each frankfurter then the biscuit around that. Put on cookie sheet with the overlap of biscuit faced down, so you don't have to use tooth picks. Bake in preheated oven until biscuits are brown, about 10 to 15 minutes. Serve these on a pig platter if you want to go hog wild. This may be the Angry Birds' favorite all time lunch! Take a slice of deli ham (and other "cold cuts") and lay a slice of Cheddar, Colby, American or Swiss cheese on top. We spread a small amount of Ranch Dip onto the slices and then rolled tightly, fastening with a toothpick. Not only are these funny face favs cute and yummy, they are good for you too! Cut fruits in shapes and pieces to assemble all the Angry Bird characters. Use watermelon, pineapple and apple slices along with pieces of coconut, kiwi, orange and even dots of raisins. 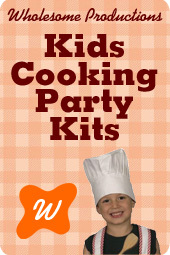 This is a fun treat for your child to help out with. Bake up a homemade pizza and arrange the pepporoni all around it. Make a face for your bird using two pepporoni slices and place two circles of cheese on top then make pupils out of black olives. Slice more black olives to construct frowney eyebrows and a red pepper is perfect for a beak. We served a mix of "bird seeds" that the kids really loved. Combine sunflower and pumpkin seeds with dried cranberries, raisins and nuts. Use a shortbread cookie dough to make pig shaped cookies from a pig shaped cookie cutter. Here is our tried and true Shortbread Recipe! Cream butter and sugar with mixer. Add flour and mix with a wooden spoon. Use hands to thoroughly mix. Cut into desired shapes with cookie cutter. Bake for 10 minutes. Reduce the heat to 300 and continue to bake until done. Frost with green and/or pink frosting or glaze! Pig out!!! With a little pink fondant, you can make any cookie look as cute and yummy as this one! Simply cut out the head with ears shape. Add on a round nose. Two white fondant circles make the eyes and we used a black icing gel pin for the smile, nostrils and pupils. It was quick and easy! The kids will chirp about this dessert for a long time to come! As we know, Angry Birds can be party poopers, literally. Lay out a newspaper and "drop" chocolate candies on it. We used Chocolate M&M's but you can use Chocolate Covered Raisins, Semi-Sweet Chocolate Morsels or any other "poop" looking chocolate you like. Scoop um up while they last! These yummies flew out of the bowl they were so good! We found these Angry Bird character shaped graham crackers by Nabisco on Amazon. Chick out the bowl we served them in and find these cool crackers and all our other fun goodies on our Amazon My Picks below! Dessert time might be the only time you will find Angry Aviators being sweet but these treats are sweet for sure...and cute too! If you are pressed for time, you're going to love these! Simply bake up your favorite cupcake recipe, frost and top with these adorable Angry Bird cupcake rings. We added on some fun sugar sprinkles too. The best thing about this treat is that not only does each child get a cupcake but a ring too! Now for the highlight of the party...THE CAKE! When it comes to the cake, you want it to be sup-bird but without costing a lot of dough. Here are some great options! Now this is a bird of a different color...a cake topper you can actually eat! We found this item on Amazon. Just bake up your favorite cake, frost and add this super cute theme topper. How's that for easy? Another fun and very quick and easy way to put together a great Angry Bird cake is to use cake toppers. A friend of ours did one for her young son's cake recently. The toppers were purchased from Amazon. These candle are hot! Don't foget to order some for your cake. These are available from Birthday in a Box, Amazon and Birthday Express too! When the game gets heated, take a break to cool off with our collection of Bird Beverages! That Ice Bird packs quite a punch...Ice Bird Punch, that is! Check out our awesome recipes for Ice Bird Punch and other fun theme drinks that will have your guests as happy as larks! Look what we found! These canned drinks were a splash with the kids and can be found online. We found ours on ebay. You can also dress up your own soda cans with fun Angry Bird faces. A little creativity goes a long way and the guests will love them! In a blender, combine yogurt and cranberry juice. Add strawberries, raspberries and sugar then cover and process until blended. Pour into Angry Bird party glasses and serve immediately. If pigs could fly...oh, wait, pigs are flying everwhere and packing quite a punch. In a large saucepan dissolve the gelatin in 1 quart of hot water. Allow to cool. When gelatin has cooled off, pour into a large clear punch bowl then stir in pineapple juice, orange juice concentrate, sugar and 4 1/2 cups cold water. Pour in ginger ale just before serving. We labeled the punch bowl "Green Pig Punch" and sat a few Angry Bird Plush Pigs around the Pig Punch and inside the punch bowl we floated the Pig's plunder...some golden eggs. One hundered eggs come in the package so we used the extras to set about the tables with the spray painted ones and filled others with goodies for treat bags. In a large punch bowl, stir together the drink mix, lemon-lime soda, and white cranberry juice. Stir in sugar and then float scoops of ice cream on the top. The ice cream melts somewhat and looks like clouds, thus...Ice Bird Punch takes flight! Carefully take the label off the desired amount of water bottles. Download and print out Angry Bird character faces then use spray glue to adhere them to water bottles. Ice Breakers are activities that help the guests go to know one another and warm up to your party. I like playing one or two as the guests arrive so no time is wasted feeling ackward. Place a large jar on a table at the entryway and fill it with Angry Bird balls. Let each guest guess how many balls are in the jar and the one who guesses the correct amount (or is the closest to it) wins. Divide the group up into equal teams. One team will be the Birds and the other, the Pigs. Give each team a list of things they must find in a designated area such as sunflower seeds, a bird feeder, a plush pig, etc. Of course you will have hidden the items before the party. Set a timer and let the fun begin. The team that finds the most things off their list by the time the buzzer sounds wins. Gather the group and have everyone take a seat. Find out who has what in common like birds of a feather. Tell the players to stand if they have..."Been to Mexico" or "Eaten a snail" and whatever creative questions you can come up with. If the player can answer "yes" to the question, he or she stands up. Repeat questions, speeding up the game as you go. Before the party, make up a list of trivia questions about the infamous Angry Bird game. You can go around the room and ask each guest a question or ask the group in general. Questions might be: name one update to the original app game. (Golden Eggs, Mighty Hoax and Hame'Em High are a few of the correct answers). You can make the questions easier if the players are younger. Divide the group into two teams, the Birds and the Pigs. This gam is played like Musical Chairs except instead of grabbing a seat on a chair when the music stops, the players do so when a word in the story has to do with a bird! Set enough chairs in a circle for all but one player so that when they go to sit down, one player dos not have a chair. You or another adult can start it off by making up any story about anything. At some point in the story, say a "bird word" like flight or nest and the players, upon hearing the word, are to all be seated in a chair. Whoever does not has a chair is out but gets to be the storyteller. Each time, take away one chair until there is only only chair and two players left. The player that gets the last chair, wins! Help those Angry Birds get the Pigs! This is a simple but very fun game that children of all ages enjoy! In this game the players toss balls at empty two-liter soda bottle "pigs". Simply print out faces of the green pigs and hot glue them on the bottles. Arrange the bottles on a box, tape a spot for the players to stand on and let them take aim and fire! We gave the players three tennis balls for each turn and they got three tries per turn. Give em something to chirp about! Here's a simple but fun packed game the kids at our party enjoyed. Players throw the birds to score BIG points! The game includes one game board and three plush Angry Birds Bean Bags. Check out all the fun games we found from Amazon! We always throw in at least a few store bought games into the party mix. They are quick and easy plus they double as presents for the birthday boy or girl! Amazon always has a great selection of games. AP FOR THAT One fun thing to do at your party is to set up an offical game of Angry Birds and pass it around so that everyone takes a turn. No matter the age group of your party, a puppet show is a winner everytime, hands down (or...hands up). Set the stage by pulling two chairs together and draping a solid colored sheet over them. Let the actors hide behind the sheet with Angry Bird character puppets, store bought or handmade, and let the fun begin! If you think craft time is for the birds, you are right! Take some time for the party guests to let their creative juices fly with these super fun craft ideas. Since the Angry Bird Party theme can be for a wide span of age groups, we gathered a number of our favorite craft ideas so that you can go through them and choose the ones that are age appopriate for your party. Let the guests make cute theme cups to fill with goodies to take home as party favors. We had a Bird Seed Bar. We filled jars with seeds and trail mixes and provided scoops so they could fill the cups with their choice of goodies. This project can be tailored to suit any age group. For the youngsters, you can have the shapes precut for them and help them along the way. The older guests can cut their own and add more frills with paint pens, glitter and rhinestones. 1 Cut small strips of black foam for eyebrows. Or, you can even use black Twizzler stick candies. Cut two orange triangle shapes for each beak. You can use foam or construction paper. Trace a circle on white paper and cut the circle into halves. Attach some feathers to the back the cup with glue or a glue gun. Glue on the half circle. Glue the beak just over the edge of the white belly. Now glue the the angry eyebrows overlapping and pointing inward. Let each guest fill with goodies from the Bird Seed Bar or with other fun things. This craft is brought to you by Birthday in a Box where you will find tons of great supplies for your Bird-day! 1.Tie a length of string to the stem of a pinecone. 2.Spread peanut butter or shortening mix over the pine cone with a knife or the back of a spoon. 3.Pour birdseed into your pie tin or plate and roll the pine cone in the seed until it is covered completely. 4.Wrap your finished pinecone bird feeder in a plastic favor bag or plastic sheet wrap for guests to take home. 5.Tie your pinecone bird feeder to a tree branch or clothesline and watch birds come for a snack! If you're going to play the game, you simply MUST have a slingshot! Each child will need a "Y" shaped twig, a very large rubber band (8" length should do it), and a medium sized strofoam ball and a little bit of duct tape. Wrap the ends of the rubber band around the Y portion of the branch and slide up or down to make tight, but not stretched. Use duct tape to secure the rubber band so it wont slide. The balls can be painted with paint pens or even glitter paint pens if you want to go all out. We let the children go out in the backyard and try their new slingshots out when we were finished. Young and old alike enjoy costumes so dress your party for success with these fun Angry Birds outfits. If you don't want to go in full dress, you can always just pick a mask. Angry Bird t-shirts are also a fun way to fly! Birthday Express has lots in all styles and sizes. We included the t-shirts in our goodie bag ensembles. They are actually fairly inexpensive and the kids will wear them for a long time to come and will remember the fun they had at the party each time the do. How's this for a Bird Dog? Don't leave the family pet out of the fun, dog-gone-it! Have you ever seen anything so adorable? cuter? No one's angry when they leave this party! When it's time to fly, send your guests home with a smile with fun favors to remind them of the good time they had at your party. The first step is deciding what you want to put the treats in so you will know how many favors will fit. You can go with themed sacks or boxes or make your own. If you are wanting to be original, you can download and print out Angry Bird faces onto sand pails or buckets or do like we did and use these awesome lunch boxes. As far as what to put in the containers, that's the fun part. Birthday Express is has a huge selection of Angry Birds party favors like the ones seen below. At Birthday in a Box you can save 20% off orders of $40 and over. They have a great line of personalized favors. Do be sure to order them early though to ensure enough time for delivery. Amazon has a fantastic selection too. You will find tons so we have narrowed down our favorites. If you want to save time and often money too, consider these preassembled favor sets. Don't get mad, get glad! When it comes to launching a great party...we've got an ap for that worth tweeting about! It's easy to add some Angry Birds magic to your party with the tried and true tips above. Afterall, planning an Angry Birds Birthday Party shouldn't make you sore in a bad way. Our party plans will let you take a break from those pesky flying pigs to relax and seize the moments of a awesome and very happy bird-day.